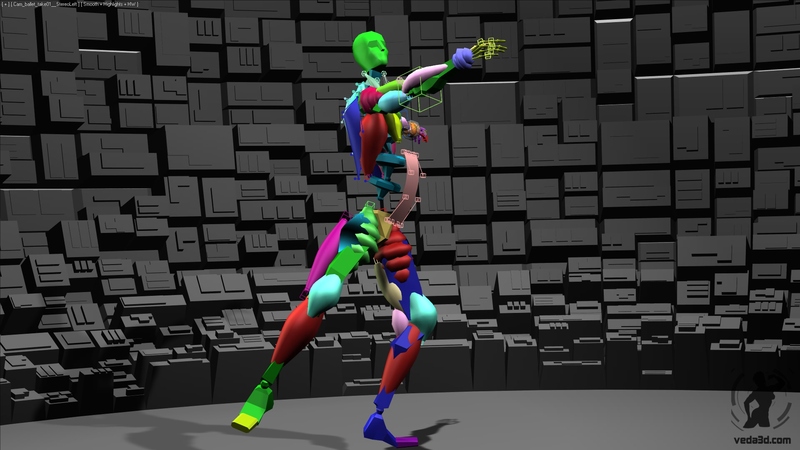 I attract your attention to the description of the techniques which I used at work CAT MuscleStrand in 3dsmax, creating Veda, and also additional instruments, what I specially worked out for this purpose. I took some research and found solution to get it work without error in new versions of Mental Ray (3.9-3.11+) and 3ds max 2012-2014+. 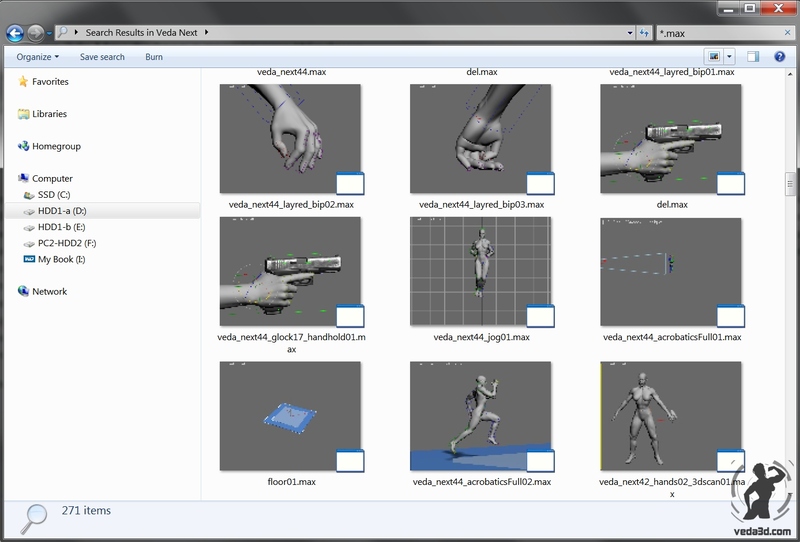 Choosing between Poly and Mesh for modeling definitely worth to choose Poly. But, nevertheless, there are tasks, where the use of Mesh more justified than Poly. Despite the fact that Poly is essentially the evolution of Mesh, it has a number of significant differences and limitations in their work. 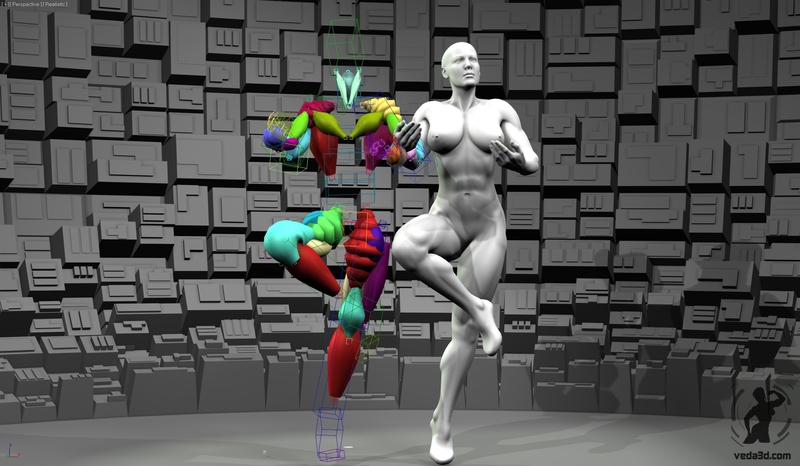 Rigging To attain high quality transformation of the body it was needed that the rig was composed not only with bones, but also with muscles. For the basic of skeleton was chosen Biped. The other variants were also considered. 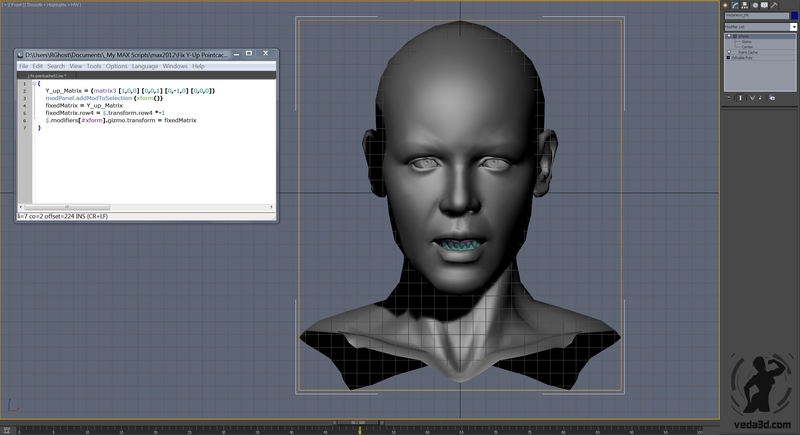 The …..
For creating hair it was used a standard component 3ds Max Hair and Fur. Hairstyle was created in a way, that allows to use a different methods for calculation of hair dynamics, but not only in built dynamics. At the moment as a hair dynamics engine it is used Flex modifier, which gives a good result for rather short calculation time.